The Ducati Monster is a motorcycle that was designed by Miguel Galluzzi as his personal interpretation of what Marlon Brando would ride if the film “The Wild One” was filmed in the modern day. He can’t possibly have known when he drew the initial outlines how staggeringly successful his design would go on to become, or how absolutely vital it would be to Ducati as the company entered the 21st century. The Monster has been in full production since 1993, making this year its 20th year of consecutive production, a remarkable feat of longevity in the fickle and trend-lead motorcycle industry. 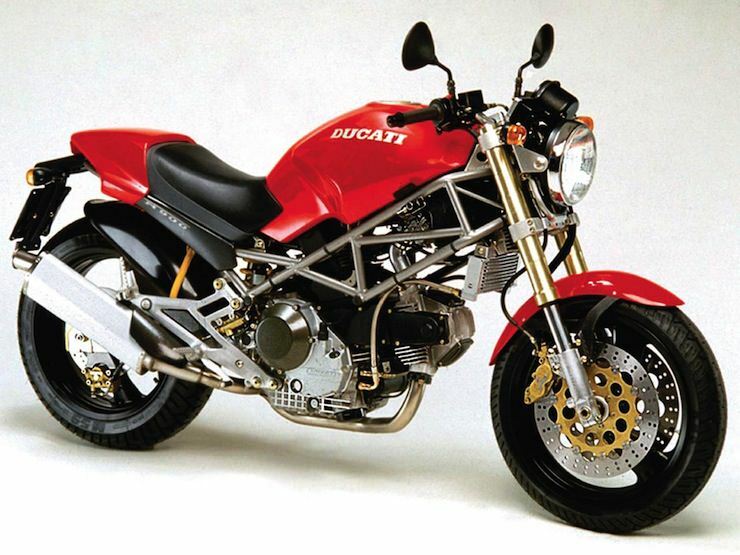 The Monster started life as a hand-drawn sketch by Galluzzi, an Argentinian-born designer employed by Ducati’s parent company, Cagiva. 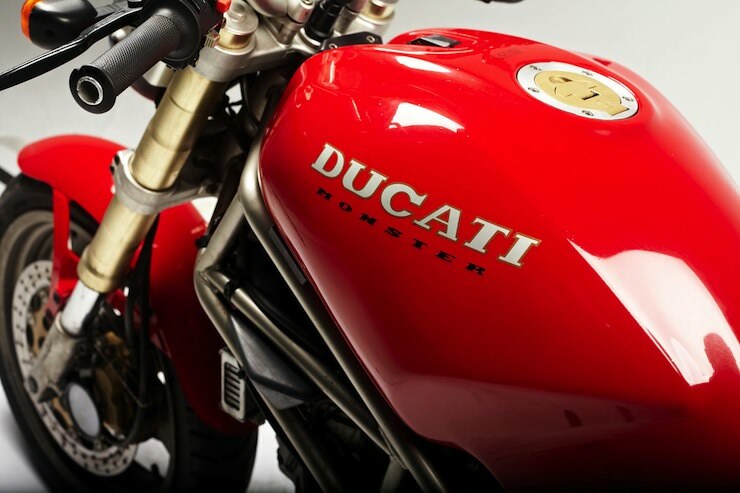 He struggled to get approval from senior executives to actually go ahead with a production bike based on the original design, but working with Massimo Bordi he managed to find many of the parts needed to build the Monster in Ducati’s parts bin – making the production of the bike far more affordable than initially estimated. With a trellis frame from the 851/888 series, the engine from the 900 Supersport, the forks from a 750 Supersport and a newly designed, muscular fuel tank the Monster borrowed suspension components and a slew of other parts from production Ducatis. The result of this was a surprisingly well balanced, lightweight motorcycle that was an immediate hit with the motoring press around the world. The Ducati Monster would quickly become the best selling bike from the Italian marque and even today, still makes up for over half of Ducati’s global sales. There aren’t many people who’ll argue with you when you call the Ducati Monster a modern classic, in fact I’ve never met anyone who tried. The trellis frame, purposeful stance and agressive engine combined with the upright riding position, wide handlebars and well placed foot-pegs make riding a Monster a genuine pleasure – if you want to go fast you certainly can, and if you want to cruise into work you can sit up and enjoy the morning sunshine through your visor. It isn’t often that you get the best of both worlds in the world of motorcycling, but with the Monster, you really do. Due to the extraordinarily long production run of the Monster, there are a significant number of sub-models, variations and and special editions. I’ll outlay all the most common Monsters you’ll find here, but if you stumble across something rare you might need to do a little research into it (then email me and tell me all about it). This is the primary frame of almost all modern Ducatis, it looks a little like a Salvador Dali impression of a ladder and connects the steering head to the swingarm pivot. The engine is a stressed member and acts like a part of the frame, this helps reduce weight and increase rigidity, it also allows easy engine access. You’ll hear a lot of arm-chair mechanics throw around a lot of nonsense about what Desmodromic Valves actually are, in reality they’re just valves that are opened and closed by the cam shaft. Most valves have a spring for the closing phase of their movement, meaning the cam shaft is pushing against spring pressure to open the valves during each exhaust phase. This spring can cause problems higher in the rev range and Ducati has been using the Desmodromic system since the 70s in one way or another, so it’s a mature technology, albiet one that can cause some headaches which I’ll go into a little later on. The Ducati Monster has been fitted with a slew of different tank designs, almost all of them are clear iterations of the original Galluzzi design, more modern tanks feature sharper creases and perhaps a more “manly” look. Earlier Monsters had double sided swing-arms and more recent and higher-spec Monsters tend to have a single-sided arm. 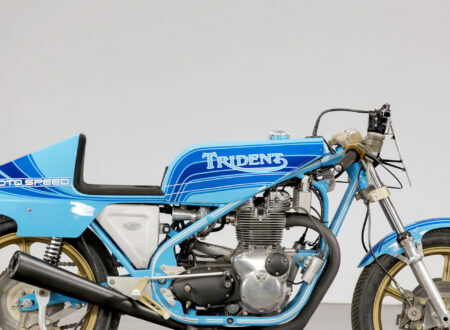 There have been both water and air-cooled L-twins used on the Monster models over the years. 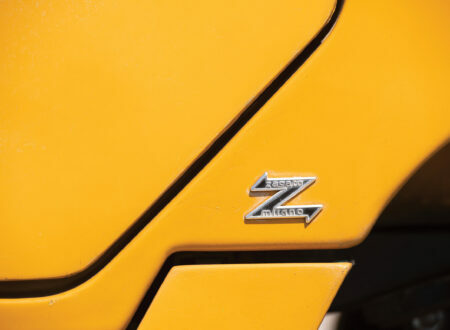 They’ve all been offset 90 degrees leading to the use of an “L” instead of a “V” when describing them – they all look fantastic, but you’ll find some people like the air-cooled more, or vice-versa. As with all matters of personal opinion your best bet is to try both and see what you prefer. The famously loud dry clutch of the earlier Monsters is something that people either love or hate, it’s a sound that I’ve come to associate in a Pavlovian way with having a good time, as have many other Monster riders. The wet clutch is much more modern and easier to pull, it’s also quieter and easier to live with on a day to day basis. 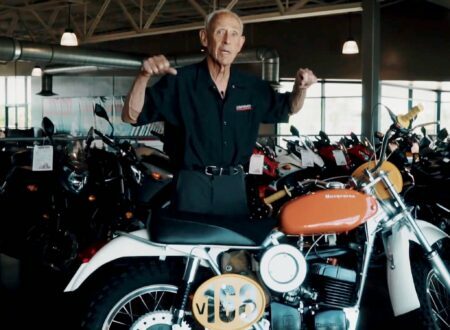 This was the very first Monster and remains an icon, it’s widely credited with starting the modern “naked” bike trend and has spawned a significant number of copycat designs from other marques. I’ve spent a fair bit of time with this model and it remains one of my personal Top 10 Bikes, they’re relatively cheap to buy now and they’re only a few years away from being classed as “vintage”. The M400 was only intended for the Italian, Japanese and a few other Asian markets. It used M600 running gear and the engine from the 400SS, which itself was only sold in Japan. You probably won’t find any of these for sale in the US, but you never know. This was introduced at a lower price point than the M900 and proved to be immediately popular, many chose it as their first bike and it as especially popular with female riders. It has a toned down version of the 750 engine and was a fair bit lighter than the 900. The 750 Monster was designed to slot neatly between the M600 and the M900, it used the same engine as the M600 with the original 750 bore (from the 750SS). The engine had been tweaked a little to offer more mid-range torque and performance was only about 15hp down on its larger brother. 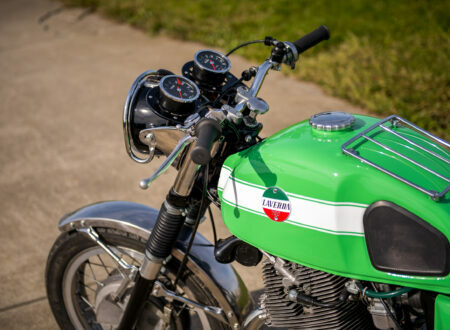 The 900 S was the sport version of the now wildly popular 900 Monster, it offered performance upgrades and is considered by some to be the ultimate iteration of the original, carburettor-fed M900. The addition of fuel injection added some reliability to the sometimes finicky M900, cold morning starts were now more predictable and carburettor issues were a thing of the past. The S4 was the most extreme Monster to date, it was fitted with the water-cooled, 916cc, 4-valve Superbike engine, Brembo 4-piston callipers and Showa forks. The performance was astonishing and in some respects the S4 is the precursor to the modern Ducati Streetfighter. With the addition of fuel injection to all of the bikes in the Monster range, Ducati made a significant commitment to modernising the fleet. The S4 Fogarty was introduced as a high-spec version of the previous years S4, though only 300 of them were made. 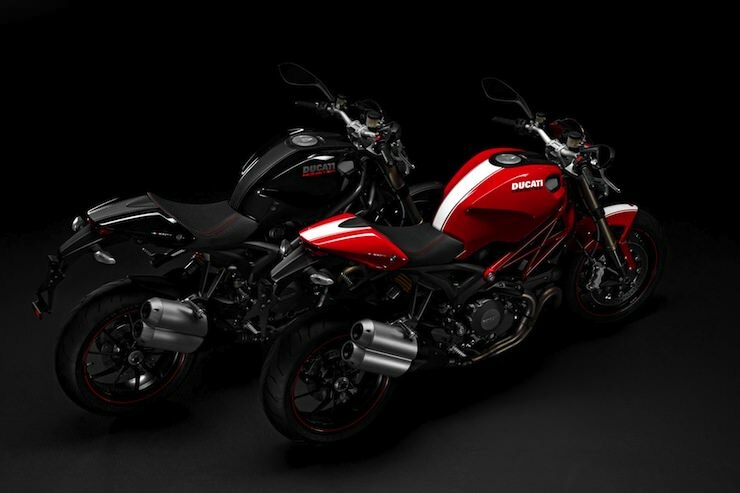 The M750 and M900 were both dropped in favour of the new M800 and M1000 respectively, the new models were more advanced, more reliable and proved to be solid sellers for Ducati. Most of the current-day Monsters are evolutionary forms of these two models. The S4R was fitted with the larger 996cc 4-valve per cylinder, Desmodromic, liquid-cooled Ducati powerplant, horsepower jumped by 12 over the original S4. The 803cc S2R is the little brother to the S4R, it’s fitted with a 2-valve per cylinder Desmodromic, air-cooled engine that’s easier to work on and maintain. It produces a still generous 77hp and weighs 40lbs less than it’s larger sibling. The S2R 1000 came fitted with an air-cooled 992cc engine with twin Desmodromic valves per cylinder and would produce 96hp. 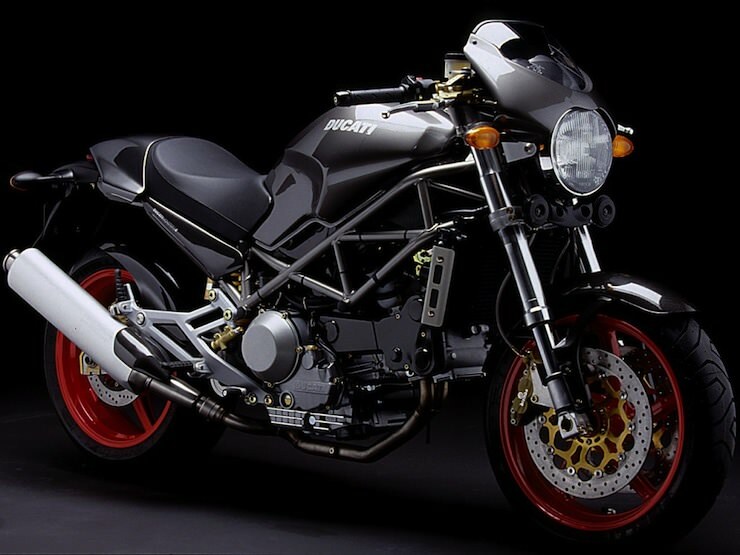 The Monster S4R S came with the 998cc, 4-valve per cylinder engine that could punch out 130hp, it came with Öhlins suspension front and back and twin 4-pot, 4-pad brakes on the front end. The new Monster 695 came with a 695cc, air-cooled L-twin capable of 73hp. The bike weighed in at a relatively light 370lbs and anyone who’s ever ridden one will tell you that they’re great fun and can make excellent commuter bikes. In some ways, the M696 was the first of the “new” Monsters. 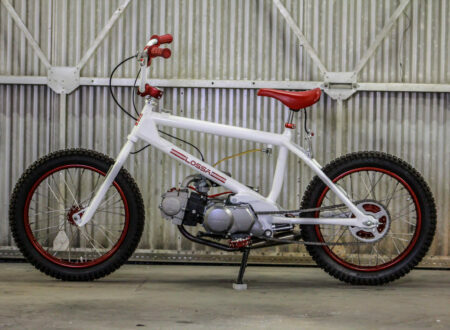 It had a redesigned look, a hybrid trellis frame, a lower seat height and a new improved, air-cooled engine. It looks like a 21st century version of the original 1993 M900, and that’s exactly what it is. The M1100 and M1100 S are the larger siblings to the newly released M696. Both bikes share the same hybrid trellis frame but the new 1100 models are fitted with a 1078cc L-twin, air-cooled engine producing 95hp. The S model features upgraded Öhlins suspension on the front and back and a few other performance tweaks. For all intents and purposes, the M796 is the new version of the M800. It slots in between the M696 and the M1100, featuring an 803cc engine capable of 87hp. The M1100 Evo is a further evolution of the 1100, its engine has been tuned to produce 100hp, it has a surprisingly lightweight of just 373lbs and a new oil-bath clutch to reduce clutch-hand fatigue. We haven’t seen much in the way of change from the Monster model range, the M795 was added but it’s aimed squarely at the Asian marketplace. 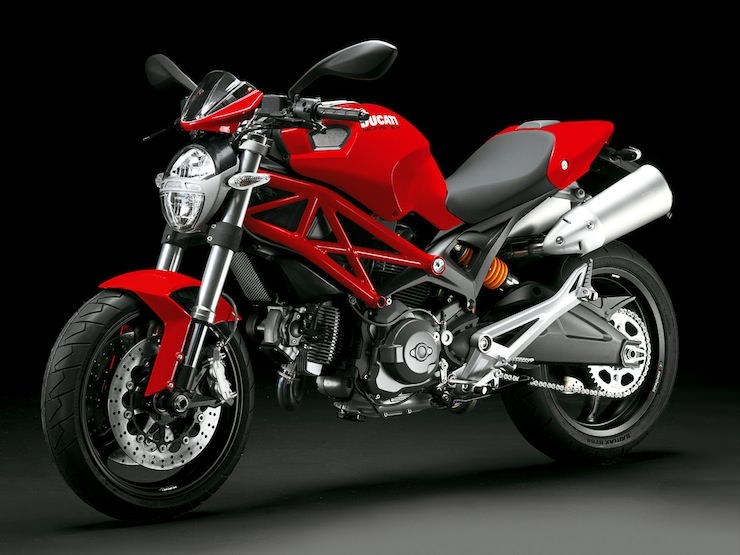 Rumour has it that 2014 is going to include some big changes for the Monster to bring it into line with the Ducati Streetfighter. Ducati has developed its own language for defining the bikes in its range, below is a quick rundown on the major terms and their meanings. S – These are generally fitted with better suspension, often Showa or Öhlins. Sometimes other performance enhancements are also fitted. Metallic – As the name suggests, these have a metallic paint job. Not my personal style but each to their own. Dark – This generally denotes a slightly cheaper model. Often with lower-end suspension, black plastic fenders and a matte-black fuel tank. City – As you may have guessed, these bikes are adapted for city riding. Often blue in colour they have higher handlebars and lower gearing for easy urban commuting. Fogarty – Named for Carl Fogarty, this model came with all the best possible options ticked and a nice, unique paint scheme. Matrix – A limited edition bike produced when Matrix Reloaded was released (with its highway motorcycle/car chase scene featuring a Ducati). Cromo – These are “S” model Monsters with a chrome fuel tank. They’re bright as hell in direct sunshine and aren’t exactly subtle, but they have proven popular. This is probably the most important single factor. Most Monsters need a service every 6,000 miles and a log book full of dealer stamps is ideally what you’re looking for. Stamps from other, authorised garages shouldn’t be considered a bad thing but watch out for no stamps, missing stamps or stamps from unauthorised garages. Tuning these correctly isn’t easy, it’s a serious skill and should only really be done by a dealer or authorised mechanic. That said, if you’ve bought yourself an older 2-valve Monster and you want to work on it yourself, there’s no reason you can’t, just be careful. Once you get the hang of it you’ll be considered a master by your Ducati riding brethren, but if you screw it up the engine can be irreversibly damaged. When buying a bike be very cautious about one with after-market modifications all over it. These bikes tend to get ridden hard, maintained by people with more confidence than talent and the performance parts themselves can be detrimental if not installed properly. These are vital on any Desmodromic engine and they need to be replaced at every major service, if you buy a bike with an incomplete logbook and you don’t know when the belts were last changed, get them changed immediately. This is a point of contention with many Ducatista, some claim that leaving a bike in the rain or letting it get wet will lead to faulty electrics. I’ve never experienced this but I’ve met many people who have. Before you buy a bike make sure the electrics are working 100% correctly, fixing them later can be a major task. Smoke in the exhaust can be a sign of worn valve guides or piston rings that need replacing, be careful buying a smoker, they can rapidly turn into the most expensive cheap motorcycle you’ll ever buy. As with any brief guide, this one should only be taken as a small part of your research when buying a used motorcycle. Although it might sound dramatic, the more you research now, the less you’ll suffer later. 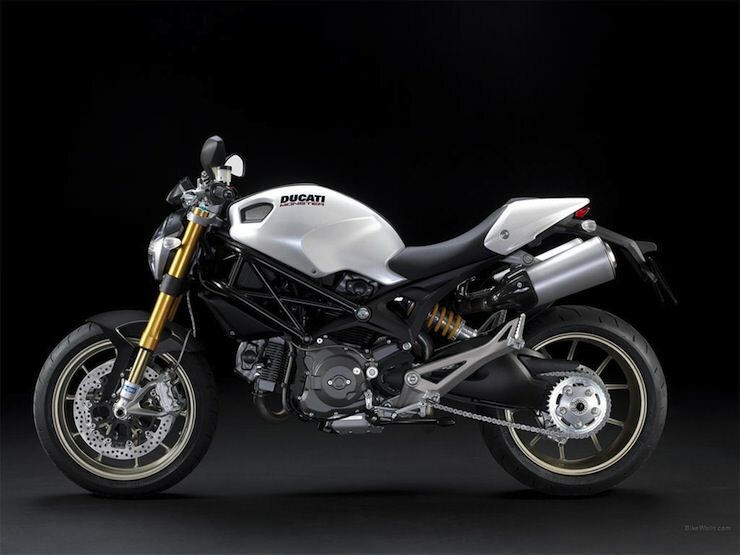 The mere fact that you’re looking into purchasing a Ducati Monster is an indication that you’re a fan of engineering, performance and that je ne sais quoi that only Italian vehicles seem to possess. As it happens this is a great time to buy an older Ducati Monster – the prices are relatively low, more and more garages around the country are certified to work on them (which helps to lower maintenance costs) and more and more people like you are buying Ducatis, which means you’ll have plenty of people to ride with once you find the bike you’ve been looking for. No single guide will ever be perfect or tick all the boxes, if I’ve missed something out here or if there’s something you feel should be included you can shoot me an email. 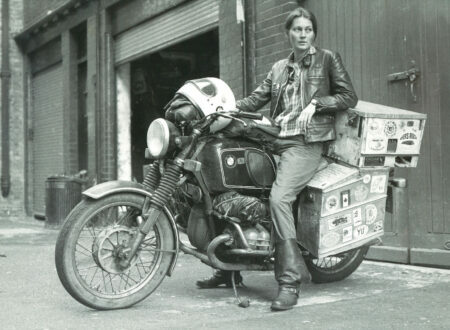 I’m always happy to hear from people, swap stories and share advice so if you can help improve this guide I’d love to hear from you, you can contact me via editor@silodrome.com. This guide was originally written by James McBride for eBay Motors.